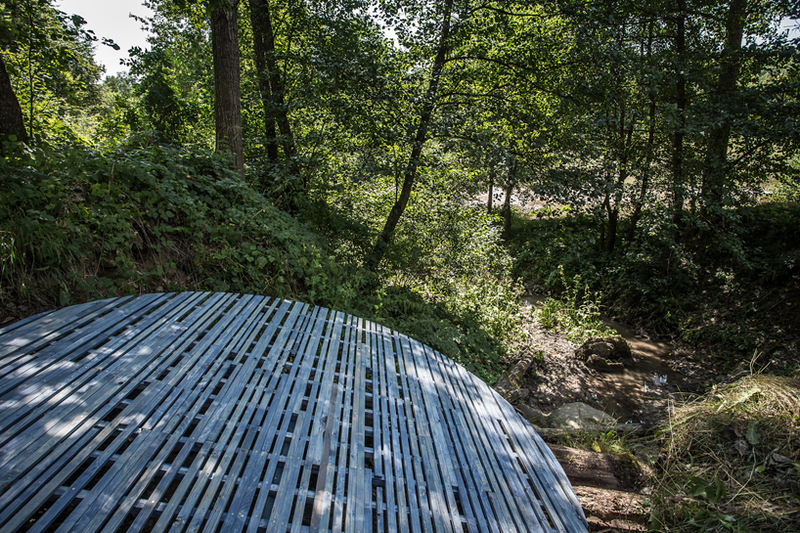 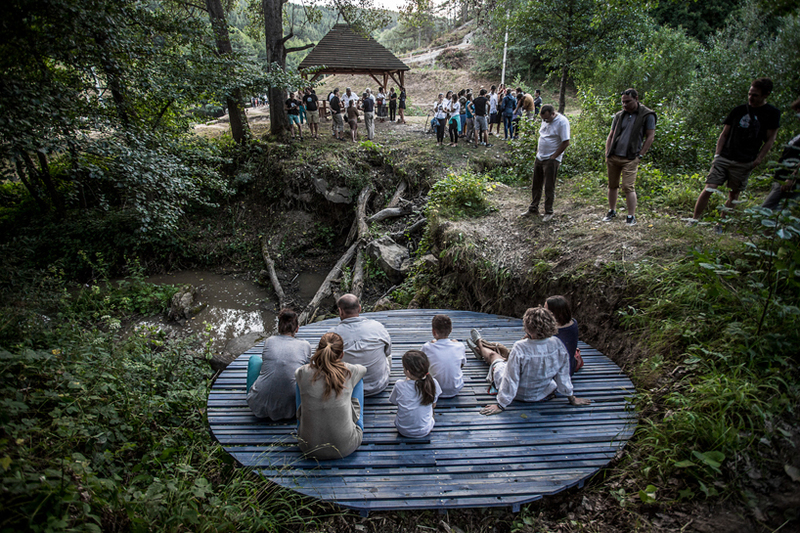 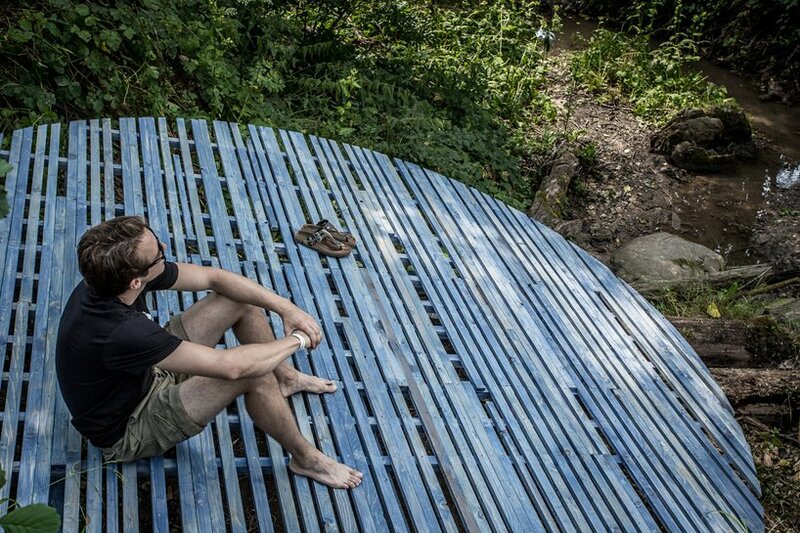 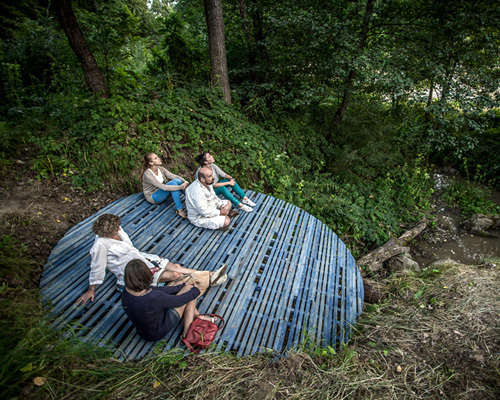 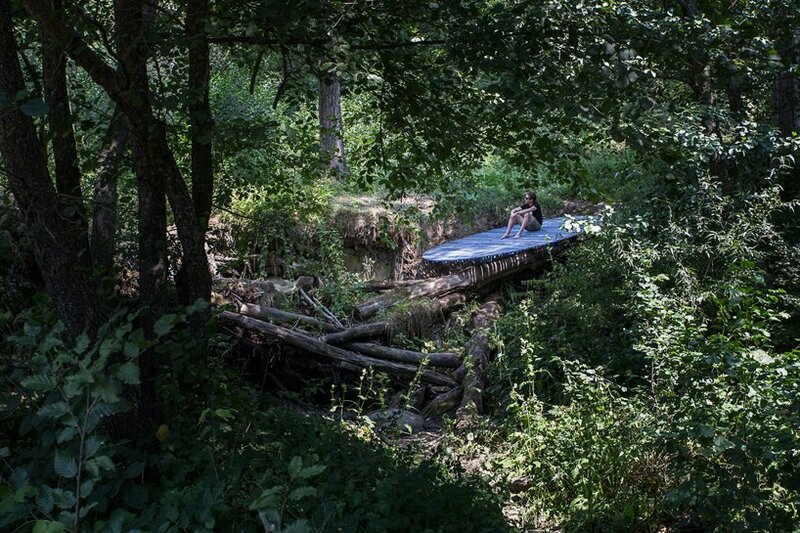 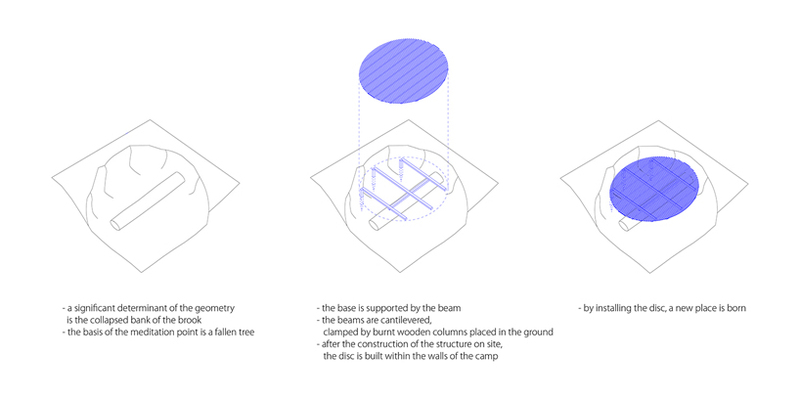 gergő and péter batizi-pócsi of batlab architects, with bence pásztor of studio nomad created the ‘blue meditation point’ as part of the noise workshop held in translyvania, romania. 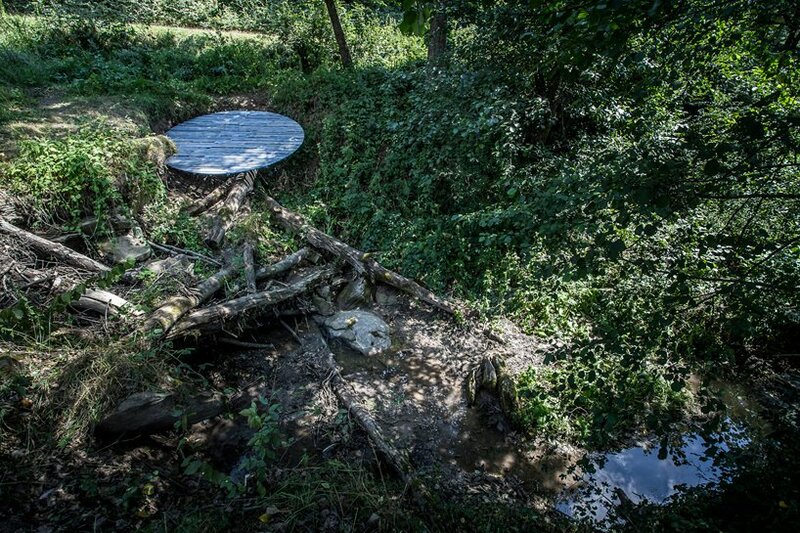 the 4m disc draws attention to the neglected part of the ika stream, a waterway that runs through the wooded setting. 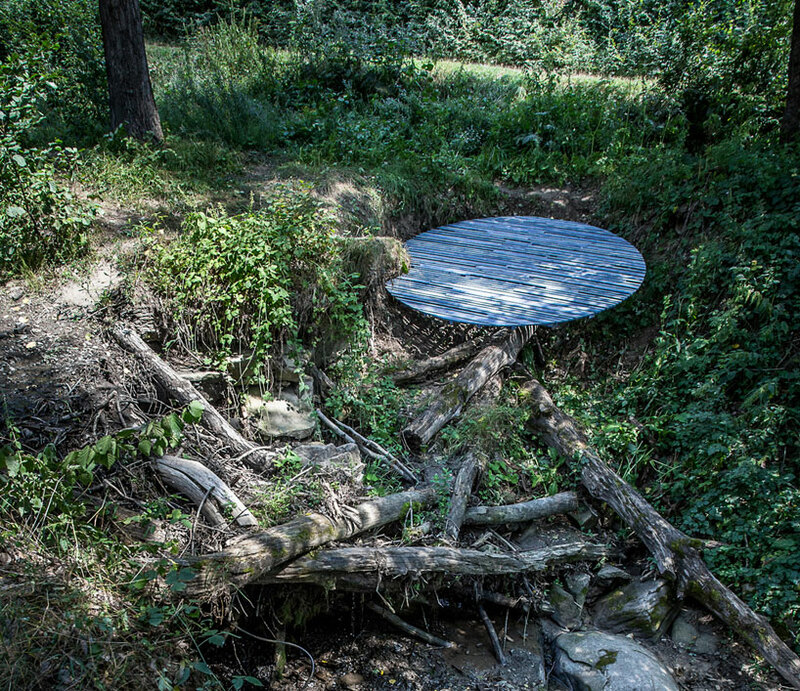 the cantilevered wooden disc is placed on a fallen tree, which gives the piece a slight angle pointing towards the stream. 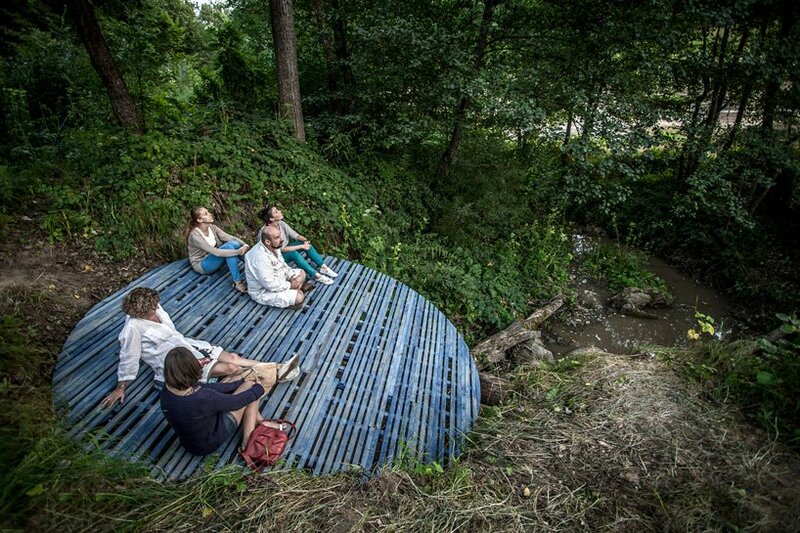 the ‘blue meditation point’ will be left to serve its function until nature reclaims it.